I've expressed before my admiration for Henry Wade's Lonely Magdalen, but the publication by Arcturus of a new mass market paperback means that this previously rare book is now within reach of any Golden Age fan. 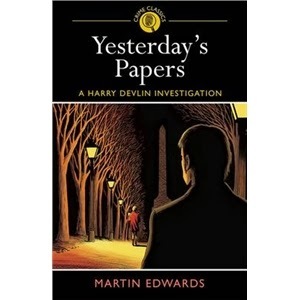 The Arcturus Crime Classics series is eclectic and fascinating, and I'd be saying that even if it didn't include a couple of my own Harry Devlin titles! Inspector John Poole, Wade's most regular detective, here investigates the strangling of a scarred prostitute on Hampstead Heath. An early suspect is a man called Varden, who acts suspiciously and acts as bodyguard and bullyboy for a dodgy bookmaker. But Poole needs to discover the victim's identity. When he does, he receives a shock - she is a woman from an upper class background whose recent past is a mystery. The second section of the book goes back in time, 25 years. We are introduced to an amiable young man called Jim Widdington, and the two attractive sisters in whom he takes an interest. He dumps one and marries the other, but spends most of his time enduring the hellish conditions of the Western Front. Wade, who fought in the war, provides a very good picture of the nightmarish life of the soldiers,and the effect it had on their personal lives. The third section brings us back to the present (1939). Wade pursues one hopeful lead after another and eventually pinpoints the culprit. We are treated to a frank description of police bullying as the suspect is put under pressure in breach of the Judge's Rules. And in the very last paragraph, there is a wholly unexpected twist - or is it a twist? This is writing of the highest order. It's not cosy or"humdrum" at all. The plotting and characterisation are first rate. But Wade was unlucky - the book came out after the war began, and as a result did not receive the acclaim it so richly deserved. I'm so pleased it's back in print, because I think it's one of the masterpieces of the Golden Age. We often recall television programmes of long ago with great affection, only to be rather disappointed when we see them today, in an age when production values tend to be so much higher,and even very good shows are apt to look very dated. There's still, in my opinion, a great deal of nostalgic pleasure to be had from watching the best shows of the past, but I have to admit that sometimes they don't stand up to searching comparison with today's television. I wondered if this would be the case with the shows in the Classic Taggart DVD set which I was delighted to receive as a present recently. I decided to start out by watching a story written by the show's creator, Glenn Chandler, which dates back to 1992. Nest of Vipers made a great impression on me when I first saw it - the storyline is creepy and complex,and you can never be sure where it is going. But would it stand the test of time? The answer was a triumphant yes. Even now, the pace, complexity and sheer fascination of the story is as good as anything you will find on television today. In the course of the past year, I've watched plenty of enjoyable crime dramas, with cop shows ranging from Lewis, Endeavour, Vera, Shetland, and DCI Banks among the best. It remains to be seen if they will last as well as Nest of Vipers, but suffice to say that I've not seen anything better in the past year, even though this time I could remember some, at least, of the plot twists. The success of the story owes a huge amount to Chandler's brilliant script, and also to Mark McManus's superb performance as Taggart. In this story, he becomes emotionally involved with a woman whose daughter has been missing for four years. When two skulls are discovered, reconstruction work suggests that the daughter has been found at last. But who was the other victim? And what is the link between the discovery of the skulls and the sinister killing - by means of snake venom - of people connected with a company involved in scientific research? Dougray Scott, no less, made a great impression in this show, which was a stepping stone to a highly successful career. The cast as a whole was excellent. I admired again the skill with which Chandler scattered his red herrings, and how cleverly he built suspense and mystery. All in all, Nest of Vipers is a superb piece of television, and along with several other early Taggarts, one of the best crime shows I've ever seen. Stay Close is a stand-alone best-seller by America's Harlan Coben that one laudatory review described as a "beach read". For my part, I started reading it on holiday as a bit of light entertainment while finding my way around the railway network of Northern Italy and was gripped straight away.. I've never met Coben, but I've read a number of his books over the years. He's a highly accomplished craftsman, and there's no doubt he's a highly intelligent writer. Despite the lightness of touch in his books, there's a cleverness about his work that possibly he likes to conceal, but even so, it is evident in many ways. If I were to write a thriller myself (unlikely, but not impossible) I'd study the methods of the likes of Lee Child and Harlan Coben, because they have mastered a form that is much more difficult to handle than it looks. The late great Michael Gilbert always argued that writing thrillers was harder than writing detective stories and since he excelled at both forms, I am not about to argue the point. A great thriller, like a great pop song, demands a lot of artistry on the part of its author. This story introduces us to Megan, a former stripper turned respectable suburban mom, a likeable cop called Broome, a washed-up photographer called Ray and a host of memorable minor characters including an unlikely but unforgettable pair of pscyho killers. When a rich man's son goes missing, a sequence of events is set in motion that brings Megan face to face with some unsavoury aspects of her secret past. One of the great strengths of the book is the humour - there are plenty of funny lines. The plot is structured ingeniously so that the reader is distracted from seeing what is really going on. And what is that? Well, I suspected from an early stage a modern variant of one of Anthony Berkeley's favourite plot devices and this proved to be the case, but. I won't say any more as I don't want to give anything away. The book's worth reading for the plot alone, but it has more to offer than that - pace, wit and verve. My only reservation was that I felt the story was overloaded with sentimental set-piece situations - a wife on life support, a mother with Alzheimer's, a woman with cancer, and various other devices meant to tug on the heart-strings - but I bet Hollywood will love them. All the ingredients of a successful modern commercial thriller are here, and Coben mixes them with great assurance. Patrick Quentin was one of the best American detective novelists of the 20th century. The name conceals a complex web of identities - two men, two women, and a wide range of books published across more than 30 years. I believe Quentin was the favourite American writer of Anthony Berkeley, who was no mean judge, and at one time his books were very popular. The Green-Eyed Monster, written by Hugh Wheeler alone, and published in 1960, was one of the very last Quentins, and it's my Forgotten Book for today. The story is told by Andrew Johnson, who is haunted by the fact that his beautiful wife Maureen may be being unfaithful to him. His fears are heightened by anonymous letters which suggest he is the only one in New York who does not know what she is like When she is found murdered, Andrew is one of the suspects. 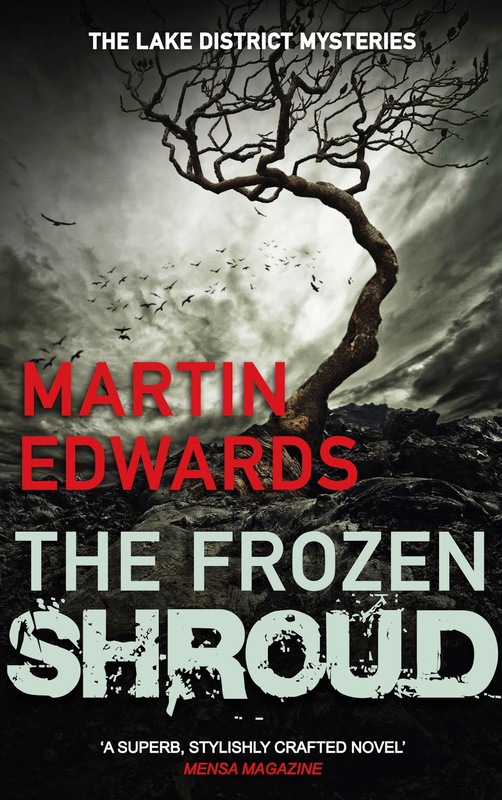 To prove his innocence, he has to find who really did kill Maureen, and why. There are plenty of possible culprits. His younger brother Ned is charming but unreliable. And what about his mother's latest husband, Lem? The list of candidates keeps growing as the plot twists and twists again. Amusingly, the possible killers include a Mrs Margaret Thatcher...As with all books by Quentin, its brevity and pace are assets, and the solution is hard to predict. Having said all of that, I wouldn't rate this book as a classic. "Highly competent" is closer to the mark. You can tell that Wheeler is an accomplished wordsmith, and he does pay attention to characterisation. But the snag, for me,was that I found most of the characters rather irksome, and Andrew's weakness (as I saw it) somewhat annoying. As a result, I didn't care as much as I should have done about the mystery, or about the fate of the odious Maureen. A good piece of craftsmanship, this one, but there are better Quentins out there. I'm able to share some exciting news - well, exciting for me and, I hope, some of the Golden Age fans among you. In the new year, the British Library will be publishing two more rare Golden Age novels, and each book will include a new introduction, written by me. The novels are both written by John Bude, and were his first two published detective stories. John who? Well, until a couple of years ago, I'd never heard of John Bude either. Then I visited a friend who has a wonderful collection of Golden Age books,and he told me that he thought Bude was very under-rated. He was even kind enough to give me a copy of one of Bude's later books, Death in Ambush. Before long, I discovered that Bude was actually a member of the small group that founded the Crime Writers' Association, exactly sixty years ago. But he died about four years later and his reputation soon died too. A pity,because my friend is right - Bude writes both readably and entertainingly. 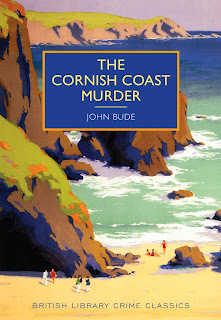 His work may not have been stunning enough to belong with the greats, but there is a smoothness and accomplishment about even his first mystery, The Cornish Coast Murder, which you don't find in many debut mysteries. 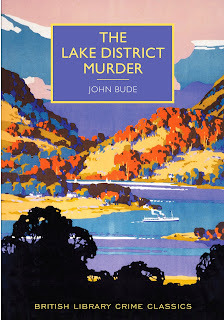 I was, naturally, fascinated to discover that his second book was set in the Lake District, and I felt he captured the atmosphere of the area rather more interestingly than the more acclaimed Newton Gayle, whose Sinister Crag I discussed here a while back. The British Library has, I think, done a very good job with the artwork for the covers, and I'm really pleased to be associated with these revivals. 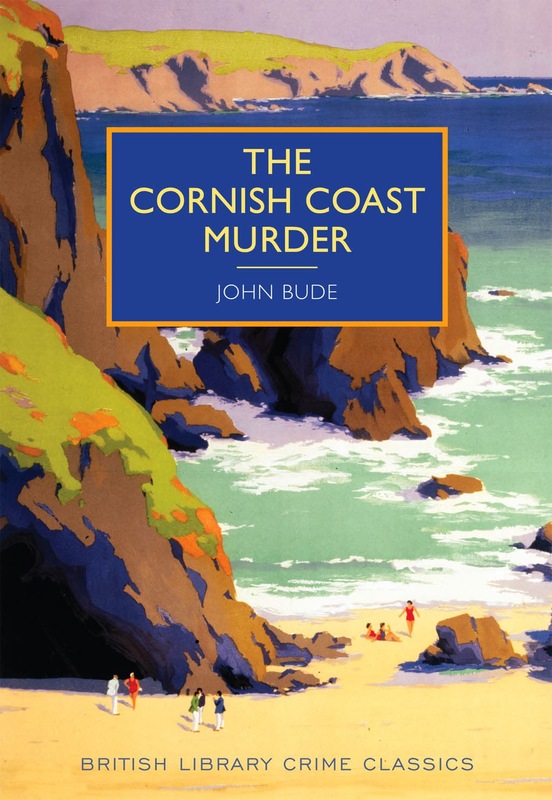 Bude's two long lost novels are well worth reading - I wouldn't describe either as a complex whodunit, but the setting and characterisation is definitely a cut above what most of his contemporaries managed. And of course I hope that more Golden Age reprints will follow before long. I've been meaning to read and review Louise Millar's Accidents Happen for a while now. 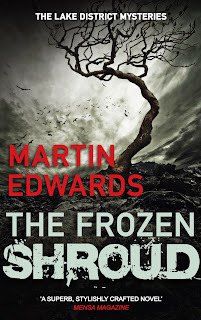 Although the title doesn't necessarily suggest a crime novel, and nor does the paperback cover, showing a windswept woman, it's a book that has been well received elsewhere, and finally I got the chance to catch up with it. And I found the story highly readable and refreshingly different. If you wanted to pigeon-hole the type of story, you might compare it to early Nicci French. We're talking psychological suspense from a female perspective .Books of this kind usually feature strong women, but in the early pages, the protagonist Kate Parker seems irritatingly nervous about pretty much everything. This disturbs the people she is close to, even though her obsession with statistics about accidents and other risks is explained by reference to the tragic bereavements she has suffered, including the death of her husband Hugo. As the book proceeded, however, I found myself warming to Kate, and I think many other readers will respond similarly and root for her as the story twists and turns, even though at one point she behaves hurtfully towards two harmless women she doesn't know, unattractive and impulsive behaviour she quickly regrets. We forgive her accordingly. An example of subtle characterisation, I thought. There is a terrific plot twist in this story, although I must say that one solitary clue (concerning a name) enabled me to figure it out at a fairly early stage. But that didn't lessen my enjoyment. I found the story of Kate's struggle against a real or imagined menace very appealing, and the background is nicely done; a mixture of everyday Oxford life, and an intriguing foray into London one night for a "bat-watch." I was especially interested in Louise Millar's craftsmanship, and I'll try to make a few points about her storytelling technique without "spoilers". She chose to tell the story from several viewpoints, those of Kate, her young son Jack, her sister-in-law, a weird next door neighbour, and a mysterious child. This was a good way of building suspense and complicating the narrative. Especially neat, to my mind, was the fact that both Kate and Jack were placed in jeopardy separately. I also thought that the slow build-up of Kate's interest in a man who might just have the solution to her psychological problems was well done, even if some of the tests that he set her were a little odd, and rather protracted. Millar clearly took the decision to build the stakes as high as possible. I did wonder whether the explanation for what was going on, which was rooted in the past, was a bit excessive. A less melodramatic and frankly unlikely motivation and plan might have served equally well, and enhanced credibility (I wasn't convinced by what had evidently happened in Shropshire, for instance.) I also felt that the finale wasn't foreshadowed quite as much as it might have been (then again, more clues might give too much away; it's a real dilemma when writing a book of this kind.) But the name of the game in modern commercial fiction is High Stakes, and Louise Millar certainly delivered. She is a really talented entertainer, and I look forward to reading more of her books. It's many years since I had the pleasure of a leisurely look round the V&A in London, and I must admit that I've scarcely been aware of the existence, behind the museum's impressve facade, of the National Art Library. However, I've now made up for lost time by visiting the NAL, although a full visit to the V&A will have to wait till another day. The highlight of my trip was the privilege of seeing for myself Charles Dickens' manuscript for The Mystery of Edwin Drood. This was a genuine treat - the great man's last, incomplete book, in his own hand (with innumerable corrections) and presented very well in a vast bound tome into which the pages (already pasted in the past) had been inserted. It felt quite poignant, looking at the last words Dickens ever wrote. I also love the page when he is jotting down different possible titles for his book. The National Art Library houses a good many Dickens works, and I also saw a bound volume of the Drood instalments, plus an impressive new binding for the book that has been created specially by a leading artist. Thankfully, too, there are images of Drood online so everyone can get an idea of what the manuscript is like. But I do urge anyone who can do so to visit the Library itself. Its atmosphere is wonderful, and it deserves to be celebrated. I did get the chance of a quick look at an exhibition covering Walter Sickert and his paintings of the Old Bedford Music Hall. This is a very good exhibition, if necessarily small. Quite apart from its associations with Sickert (said by Patricia Cornwell to be Jack the Ripper, but on rather slender evidence) the Bedford was very familiar to Belle Elmore, the music hall "artiste" and her husband - Dr H.H. Crippen. The Escape Artist, starring David Tennant, came to an end in the same week as Agatha Christie's Poirot. Tennant and that other great David are two marvellous actors, but you'd think that there was a world of difference between the modern legal thriller and Curtain: Poirot's Last Case. However, I'm not so sure. Both stories focused on the issue of whether murder can ever be justified. Tennant's character used his legal skills to escape justice while Poirot relied on a crafty locked rooms scenario. But they were both faced with an adversary whom the conventional legal system could not bring to justice - so they were forced to consider how best justice could be done, and they acted accordingly. Of course, Agatha Christie's Poirot is regarded as ultra-cosy, while The Escape Artist included some fairly grim scenes. But I have to say that, overall, I wasn't sure that The Escape Artist was any more believable than Curtain. The first episode was gripping and pretty credible, but as the plot thickened, there were some increasingly unlikely twists. One or two of these jarred because of the apparent realism of the basic scenario. I enjoyed both shows, but I think a comparison of their similarities shows that some of Christie's storylines aren't as remote from present day writers' concerns as many people may think. And one might argue that the essential artificiality of the classic whodunit form means that the use of coincidence and the improbable can, in some cases, be more artistically satisfactory than their use in the context of a story that strives for much greater realism. I've mentioned The Norwich Victims, by Francis Beeding, several times in previous blog posts. It's timely to feature the novel as today's Forgotten Book, since Arcturus have now brought out a mass market paperback edition. I'm very glad to see this - not least because a while ago, I encouraged their very pleasant and enthusiastic crime editor to take a look at both this book and Henry Wade's Lonely Magdalen. I'm delighted to say that Arcturus subsequently decided to bring these two excellent stories back for a new generation of readers to enjoy. Having read the book before, I knew the ingenious plot twist that makes The Norwich Victims so special, but I found that this did not spoil my enjoyment. Rather, I had the chance to admire the skill with which Beeding (a pen-name for two writing friends) skated over rather thin ice. I also felt that the smooth and highly readable writing style has stood the test of time. The same cannot be said of all detective novels of a similar vintage.This story first appeared in 1931, and the duo's few detective stories are very good indeed. I haven't yet tried their spy thrillers. Two separate storylines gradually merge. John Throgmorton is a dodgy stockbroker who lives with a pretty younger woman called Hermione. Into their clutches fall a woman who has a winning ticket in a French lotery of very great value. And Throgmorton decides to kill her for it, so that Hermione can impersonate her and grab the money. Meanwhile, at the school where the victim worked, a young woman, the niece of the school's owner, Robert Hedlam, has fallen for George Martin, a clean-cut cop who is put in charge of the murder case. There are plenty of plot complications, and the pace is excellent from start to finish. Really, this book is a model of its kind. I accept that the culprit's psychology is not explored fully, and if the story were being rewritten today, this gap would need to be filled. But in the whole scheme of things,it doesn't matter much. The Norwich Victims is a very clever and entertaining book and a worthy addition to the list of Arcturus Crime Classics. Agatha Christie's Poirot came to an end last night with Curtain: Poirot's Last Case, and we were treated to a suitably dark production of Kevin Elyot's screenplay. I don't want to include any spoilers at all in this particular review, but suffice to say that David Suchet's performance as the great detective was one of his very best. What a brilliant actor he is, and how wonderfully he has interpreted Poirot, transforming him from a collection of unlikely idiosyncracies into a character we actually care about , and not just because of his little grey cells. I am full of admiration. Curtain, as most people know, was written when Christie was at the height of her powers, even though it was not published until the Seventies. I read it shortly after it was published, and I thought then - and I still think - that it is one of her finest detective novels. This is not a view universally shared, I must admit, but some of the ideas in the book strike me as breathtaking. I think the culprit's modus operandi is absolutely fascinating, while the locked room scenario and the final startling revelation are classic devices. It can't have been easy to adapt such an unorthodox story, but Kevn Elyot made an extremely good job of it. He dispensed with the detail of the explanation that Poirot gives, early in the book, for his decision to return to Styles Court, and some viewers may, I suppose, have found this one of the more perplexing stories in the series,but I felt Elyot struck a very good balance between giving clues and not giving the game away. The cast as a whole was very good, with Hugh Fraser giving of his best as Hastings, and Philip Glenister, an actor of great versatility, playing a part as unlike Gene Hunt as could be imagined. The series has provided us with first class entertainment for a quarter of a century, and I've enjoyed it all the way. Real life murder mysteries fascinate me,and I was intrigued when, many years ago, I read about the Chevis case of 1931. Lieutenant Hugh Chevis, and his wife of six months, Frances, sat down to a dinner of partridge. Soon, both were taken ill, and although Frances recovered, Chevis died. The partridge was poisoned with strychnine. Suspicions were increased by two bizarre telegrams connected with Chevis' death. One said "Hooray, hooray, hooray." Another said it was a mystery that would never be solved. And it never has been. That was all I knew about the case until I read a new study of it by Diane Janes, published by The History Press. I must say that I was surprised and impressed that Diane had found out enough about the case to make a full-length book about it, but the first thing to say is that her research has been admirably exhaustive. She really does seem to have left no stone unturned, and the text is supplemented with very extensive footnotes. A number of questions arise about the Chevis case. How did the strychnine get into the partridge - and could it have been an accident? Did both telegrams come from the same person, and did they have anything to do with the case, or were they simply the work of idle mischief-makers? Was Frances' former husband implicated in some way? And what about Frances, a woman with a penchant for marrying military men, - did she have something to hide? A genuine Golden Age mystery! Diane Janes addresses all these issues in depth, and comes up with answers, some of which came as a genuine surprise to me .I don't want to include any spoilers in this post, so you will have to read the book to find out what Diane makes of the story of the Chevis family. This is a good example of intensive and original research into a notable mystery. With unsolved crimes, it is impossible to be certain about the truth, but Diane's conclusions are well and carefully argued, resulting in a thesis that must carry a lot of weight. The Case of the Poisoned Partridge is a significant addition to the annals of true crime. Ever heard of the crime writer Mavis Doriel Hay? Neither had I until I received a review copy of a book she published in 1936 and which has just been reprinted by the British Library, as part of its rather exciting programme to make available again some very rare crime stories from the Victorian era and also the Golden Age between the wars. The Santa Klaus Murder is one of three novels she published, although she also wrote non-fiction on the subject of rural handicrafts. On the evidence of this novel, I'm guessing that she enjoyed the conventions of the Golden Age and in the post-war era did not feel tempted to return to the idea of game-playing mysteries. But I'm guessing, as I know very little about her. So what of The Santa Klaus Murder? The first thing to say is that it's a nicely produced book, as you'd expect from the British Library. And it also ticks a number of Golden Age boxes - the setting is Flaxmere, a country house, a floor plan is provided, and a Chief Constable is heavily involved in the detective work in the way typical of the period (think J.J. Connington in particular) but would now seem rather extraordinary. One very strong positive about the book is that the story is told from multiple points of view, almost like The Moonstone, though the Chief Constable's perspective predominates once murder is done. The victim is Sir Osmond Melbury, the wealthy patriarch. Agatha Christie had a similar victim in a Yuletide mystery that post-dates this one, Hercule Poirot's Christmas. Each member of the large cast of characters has a motive for murder, and my one reservation about the book is that there are too many people, so that focus blurs after the crime is committed, with too much space is devoted to the question of means and opportunity. But Hay could write, and her other two novels are to be published by the British Library next year. Sir Osmond has proposed to change his will - a Golden Age stand-by - and of course this impacts on motive, and a fragment of a piece of paper about the legacies is again included, another element that you just don't find that often in modern books, but which is the sort of device that Christie used to love to play with. Overall, I found this an enjoyable novel, and the familiar ingredients are lifted out of the ordinary by a pleasing touch of humour. Mavis Doriel Hay may not have made a great name for herself in the genre, but this book shows that she does not deserve to be forgotten. A nice Christmas gift for a Golden Age fan. With all this in mind, I want to mention,while they are still hot off the press, a couple of recent books by unfamiliar names which deserve a plug, and which I am definitely aiming to read -but haven't got round to yet. The first is a book with a contemporary story yet which is, I think, firmly in the Golden Age tradition - The Riddle of Sphinx Island, by R.T. Raichev. It's published by The Mystery Press, and the author, who grew up in Bulgaria, has lived in London for many years. It looks very good to me. The other book is The Cheshire Sect, by Dan Frazer - a name used by a writing duo, Dan Smith and Frazer Fearnhead. Again this is a 21st century book that pays respect to detective fiction in the past, as the hero is said to have a touch of Sherlock about him. I'm interested in the fact that the setting is Alderley Edge,not too many miles away from where I live. It's one of the most affluent towns in England, I'd guess, famous as footballers' wives territory. And you can't have too many novels set in Cheshire's green and pleasant land. I look forward to reading both these book.